Please be informed that JTC has closed the Lorong Tawas Road and the access to FOCUS CERAMIC SERVICES / JALAN BAHAR CLAY STUDIOS. 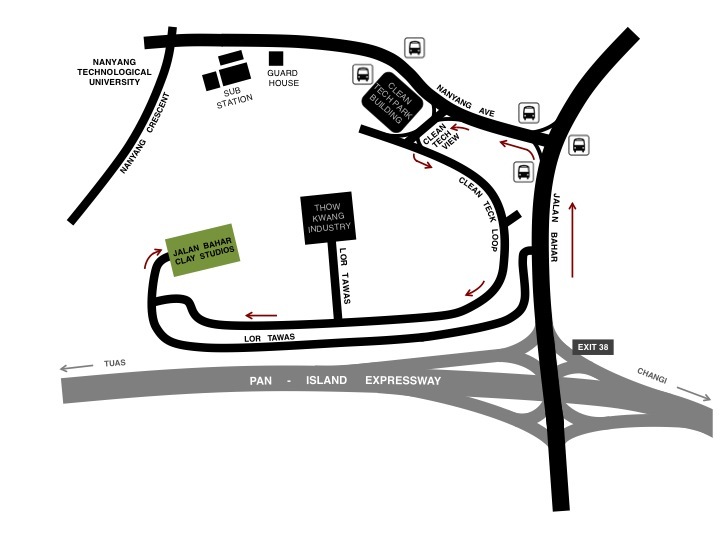 Please use the road to NTU i.e. Nanyang Avenue; turn left to Cleantech View then left again to Cleantech Loop and follow the banner stating Focus Ceramic Services to get to Jalan Bahar Clay Studios.